Ever since I was in high school, I have fantasized about owning a motorcycle. The wind in your hair, the power at your fingertips, and all the 'cool points' that come with almost every thrill seeking endeavor. But most of all, the reason I wanted a motorcycle was the unrestricted freedom it gives you to go where you want, when you want, because you are the master of your own domain. Or so I thought as a young adolescent male. Many of those thoughts have remained the same, but as I grow older, different priorities and opportunities arise. I will always admit that the thrill of the ride is what ultimately compelled me buy a bike; but as I realized as soon as I got to the east coast, there are innumerable places to travel outside of California that are more than worth the trek that it takes to get there. 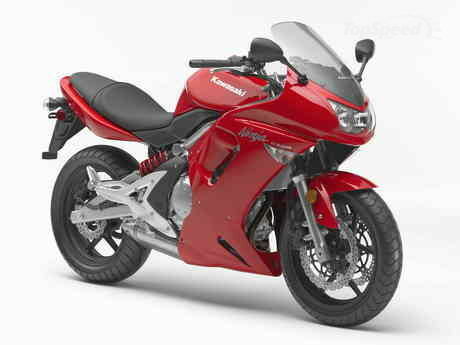 Now that I have the bike, a sweet Kawasaki Ninja 650R, I can only hope that my expectations for this summer can be met. I plan to visit a new place and have a new experience every weekend that warrants a story worth telling to my grandkids (slightly edited, I'm sure ;) ). Anyways, here's to a summer of life-changing, life-making (hopefully not literally), and breath-taking experiences.